The RODE Podcaster offers an end-address configuration, the clarity of RODE's tailored-for-voice frequency response, an 'ON' LED, a direct headphone amp and, of course, very low self-noise. The microphone comes complete with a mic-to-USB cable. Seamless integration was the idea, and it was obtained by creating a studio dynamic microphone with unparalleled A/D converters, so that the microphone can be plugged into any computer with no in/out boxes, no expensive computer preamps—just a USB cable. It's a must for any musician on the road or in the project studio, but the Podcaster is going to offer solutions to more than just musicians. 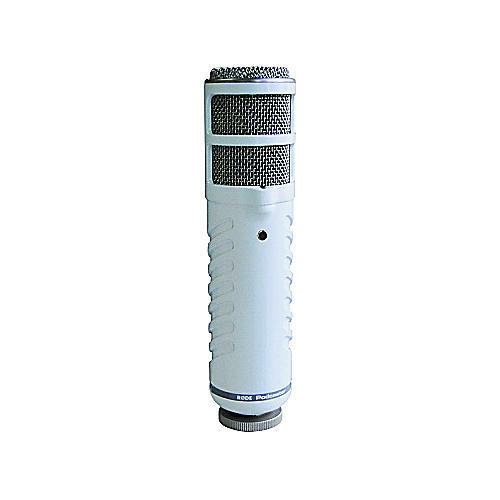 The mic opens up possibilities for anyone who records audio-from podcasters, journalists and students to business people adding audio files to websites and multimedia presentations. Create your own radio show, or let RODE do it for you, as they have even developed a website to host and broadcast podcasts for RODE Podcaster customers.